Also written by Morgan Robertson. When you think of UC Berkeley, an image of a vegan hippie wearing Birkenstocks screaming about equal rights probably pops into your head. You’re not exactly wrong, but Berkeley has more than just tree-hugging activists—this UC’s quirks extend past a simple student stereotype. With an initiative to leave zero waste by 2020, Berkeley places compost bins everywhere. Seeing friends sort their trashed food scraps into the compost containers counts as normal here. “I feel like everyone … [just] stops and stares at their trash and are baffled at what to do. What do they recycle, compost or trash from their lunch? It’s like we need a person there giving gold stars for trying to figure it out. 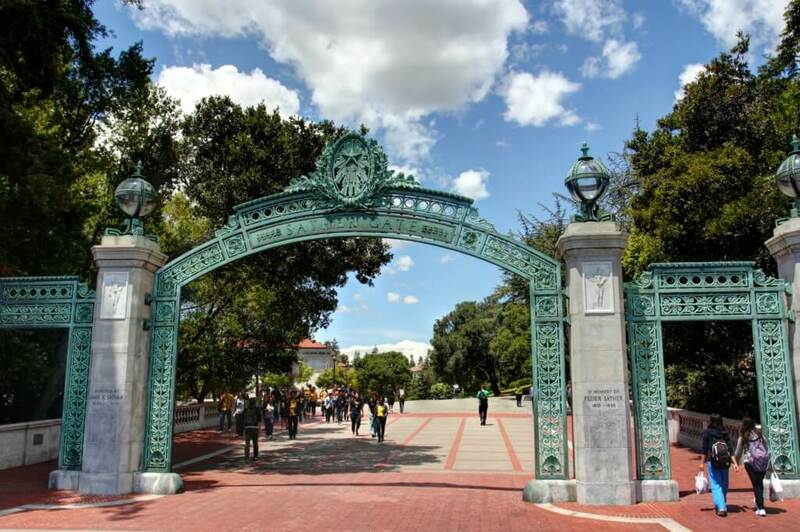 But, you know… Berkeley things,” said freshman Victoria Vera. At least this compost obsession transforms this Northern Californian town into a very environmentally-aware bubble. Combine Herbie from Herbie Fully Loaded and Lightning McQueen from Cars and you’ll almost understand the excitement of seeing Chain Car. With steel chains holding together the iridescent purpley-black broken-down car, metal drags along the hilly roads of Berkeley and leaves a trail of sparks in its midst. In turn, Chain Car has become a local celebrity at Cal. “I always loved the enigmatic mystery of the Chain Car. My friend Christopher was going to pay me $5 to get a good picture of it,” said freshman Steven Cook. A see-it-to-believe-it campus phenomenon, Chain Car drives around Berkeley at around 1 a.m., thrilling all Golden Bears who hear its chains from the dorms. Late night drunchies, second dinner or 2 a.m. donuts? Golden Bears will eat anything but the dreaded dining hall food at Crossroads. None of us want Croad’s cardboard-like pizza and anything-but-fresh salads. Instead, we go to a Cal favorite: the “Asian Ghetto” on Durant. You’ll find the perfect $5 fix to your midnight cravings in this nearly-sinful Asian food court. Delicious options like Gypsy’s amazing gnocchi marinara and KINGPIN Donut’s freshly-baked cinnamon rolls will make your mouth water. Thirsty? The Boba culture at Berkeley gets pretty intense, but don’t be fooled. 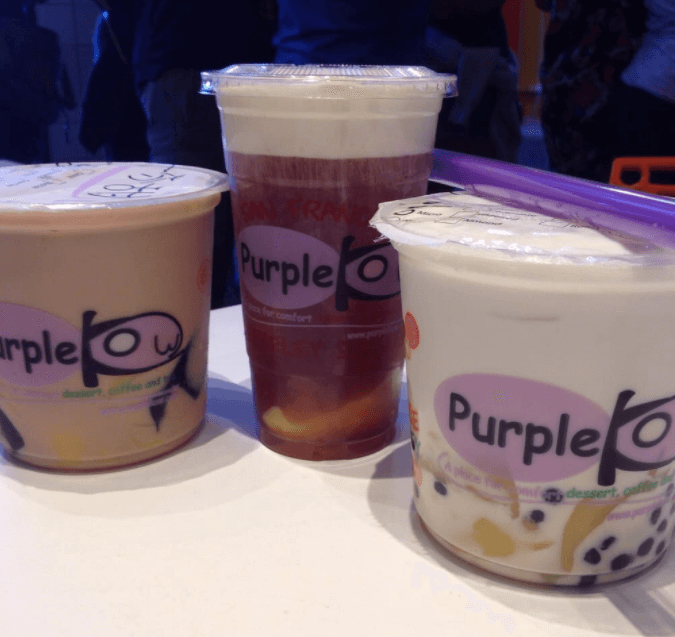 Purple Kow and Plentea are definitely the best. Cal students have come to love the campus squirrels so much that we even have a Facebook page for them, @BerkeleySquirrels. 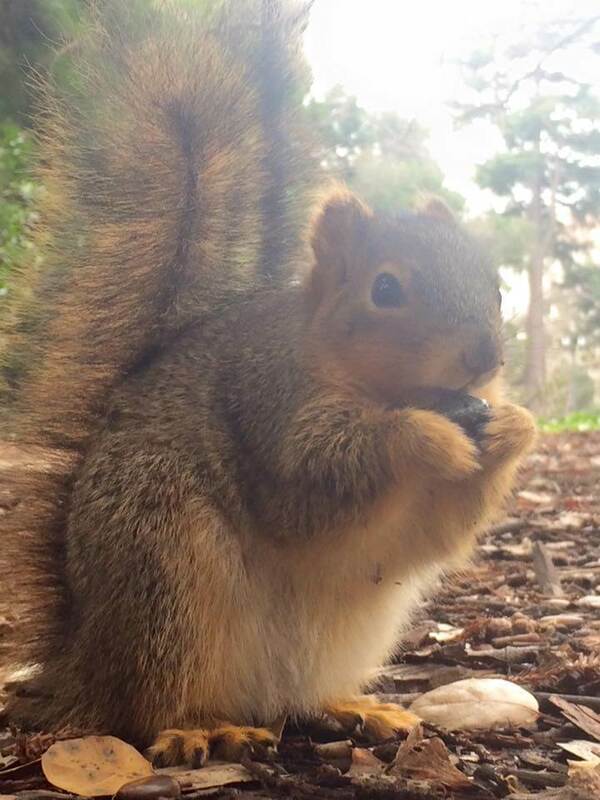 The squirrels fearlessly approach students on campus, and, as a result, Cal students feed them… a lot. No wonder words like “enormous” come to mind when thinking of Berkeley’s squirrels. “The squirrels are thick as f–k and there are more squirrels than students. They have an underground army,” said freshman Kristen Clure. Think your roommate steals food? The squirrels have them beat. “I had a friend who had a squirrel steal a full box of Milano cookies, [it] just like took it away,” said Dorrin Akbari. You’ll hear many stories of squirrels gnawing throwing backpacks, stealing whole bags of food and even students getting bit by these small feisty creatures. Just ask the doctors at the Tang Center. Berkeley students get creative, not only in arts and science, but also with our school’s myths. Architect John Howard supposedly installed Sather Gate—featured in Monster’s University— to prevent vampires from entering campus. But sometimes the myths can get a little too real. Stepping on the Berkeley Seal allegedly prevents you from attaining that prized 4.0. To counter it, you’ll see Golden Bears rolling down 4.0 Hill or rubbing 4.0 Ball for good luck instead. Regardless, Cal’s rigor makes these myths somewhat laughable. “Stepping on the seal doesn’t matter because it’s not like anyone’s getting a 4.0 anyways,” said Clure. Eating an ice cream sundae or getting an extra hour of sleep might make some people’s day. But making a Berkeley student’s day involves getting a “hell yeah” from Hell Yeah Man on Telegraph. More than just the cute stores, delicious restaurants and artistic street vendors, Telegraph Avenue’s Hell Yeah Man will draw you to this famed road. His prime position in front of Walgreens and perpetual positivity make even Dead Week, Berkeley’s justly-named finals week, more enjoyable. “The Hell Yeah Man is a trademark of Berkeley,” said freshman Maria Wong. More iconic than Joey from F.R.I.E.N.D.S’ “How you doin’?”, Hell Yeah Man makes for some great stories, by the fireside or on Snapchat. Every school has a rivalry, and ours just happens to be with Stanfraud. Every new Golden Bear soon learns of the friendly competition between our neoclassical libraries and Satanford’s Taco Bell-esque buildings. It resembles a playful sibling rivalry, until we get to the Big Game of course. Meet the West Coast version of Harvard-Yale. Before the Big Game, Golden Bears ceremonially chop up a tree (Stanfurd’s mascot). Even students lacking school pride bring out their blue and gold on this day. Go Bears! “It’s raining flyers, hallelujah.” Or, at least, the lyrics would say that if The Weather Girls went to Berkeley. The Berkeley experience wouldn’t be complete without Sproul Plaza’s snowstorm of flyers. Animal rights groups, religious organizations and every club in between will shower you in multi-colored pieces of paper as you try to pass through Sproul Plaza. After a while, you’ll perfect the art dodging those pesky pieces of paper coming at you from all angles. We could all use more time, whether you want to hit snooze an extra two or eight times or finish that bingewatch of your favorite show. At Cal, “Berkeley Time” provides those valuable extra minutes. All classes start 10 minutes after the printed time on your schedule, giving students crossing the 1,232 acres of campus time to transition from one class to the next without being late, or to just enjoy life at school a little bit more. “Berkeley is the top public school because of Berkeley Time. That’s the one way they know their students and by giving us that 10 extra minutes, [it lets] me get so much done,” sophomore Jackie Patterson said. One thing sophomore Fatima Casas noticed when she arrived on the Berkeley scene? The vibrant political and social justice nature of the campus. “It’s very politically correct. I don’t know if this goes for all campuses, using terms that are more conscious, using self-identifying pronouns, safe spaces for minority groups and certain words you can’t use because you aren’t part of that space,” Casas said. “That was new to me. I didn’t get welcoming environment at other private schools I visited.” Berkeley can both parts welcoming and jarring. It’s up to you to decide. 4/20 is an event like no other on the Berkeley campus. Close to the heart of Oakland and SF, this event draws more than just Berkeley students to Memorial Glade in the middle of April. “I think 4/20 probably wouldn’t be accepted at any other campus the way it is here,” junior Isabella Anahi Garcia-Mendez said. You can thank Berkeley’s loose hippie culture for weird events like this. Upper Sproul Plaza is a center for free speech and activism, where even outsiders feel that they can be themselves. Another quirk? “The people that come and yell at us on Sproul and like dino-man are super bizarre but I think we’ve gotten used to it,” said Garcia-Mendez. Some courses remain in high demand, and you’ll even encounter daily fights over seats. Senior Ryan Barton said, “There are classes that aren’t taught at other schools and famous courses like Wealth and Poverty taught by Professor Robert Reich, students who are not enrolled, audit, just sit on steps and listen and that doesn’t happen at other schools.” But seriously though—classes at Berkeley range from normal to life-changing . My freshman year, I was undecided until I took an English course with Professor Nadia Ellis. Thanks to her class, I made up my mind then that I would major in English and write my story. “For a school that is so centered on academics, drawing students from out of state and international… there are still division 1 sports,” said Barton. “There is no school that has [this] combo of cutthroat academic environment with D1 sports.” The competitive atmosphere on campus derives from not only academics (with more than 40,000 students, it can get pretty intense) but also athletics. After all, Cal is most known for the Olympic swimmers that roam the campus and take classes. The most notable feature of the UC Berkeley campus is undeniably and unarguably the Campanile Clock Tower. At noon, this hourly bell even gives the student body a little ear candy with some embellishments. Freshman Hai Le said, “I find it interesting how the students have a decal (chill classes run by students for students that can be take for units) that teaches them how to play the bell.” How cool does that sound? All you need is your student ID to get the top of the tower. “You get a nice bay view from the Campanile,” said senior Jeff Green. In between Oakland and San Francisco, you’ll find no shortage of things to see and Instagram. From the top of the tower, you can see the entire campus, Oakland, San Francisco, Alcatraz, The Bay Bridge and the ever-famous Golden Gate Bridge. Dwinelle, the most confusing building on the planet, is one where multiple classes of every major (statistics, English and even Japanese) are housed. With two major lecture rooms and various small classrooms and offices, one would think the building has a normal setup, right? Think again. The building was actually constructed by two different people with two different plans. “The junction between the side with 4 floors and the side with 3 floors definitely does feel a little labyrinthian. The Korean Language offices are in that area actually and they were tough to find. Different areas of Dwinelle really do feel like different buildings,” senior Kelsey Liu said. Upon entering the building, if you don’t look at the map you will get lost. And even if you do look at the map, you can still get lost.